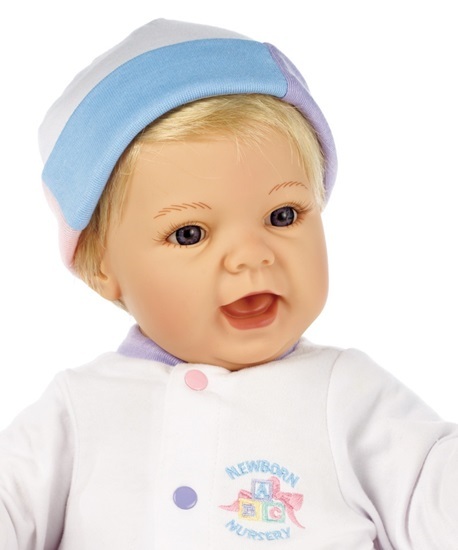 One of Lee Middleton's Newborn Nursery Babies.Sweet Baby has blonde hair and blue eyes. It's laughing mouth will take a pacifierl Comes with the white nightshirt and cap shown, plus a bible and ID bracelet. It is approximately 19 inches long and weighs 3 1/2 pounds. It can be either a boy or a girl. It has a vinyl head, hands and feet, and a soft cloth body, just right for hugging.